Oklahoma City, OK – February 11, 2019 — Paddlesports Retailer, the official national trade show of the paddlesports industry, has opened registration for the 2019 show, welcoming exhibitors, retailers, working media, independent reps and non-profits. The show will take place from August 26 through August 29, 2019 at Oklahoma City’s Riversport Rapids and Cox Convention Center. Oklahoma City, OK – November 28, 2018 — Paddlesports Retailer, the official national trade show of the paddlesports industry, will remain in Oklahoma City, OK, for at least the next two years. The show will take place from August 26th through August 29th in 2019. In 2020 the event will occur August 31st through September 3rd. Oklahoma City, OK – May 24, 2018 —Paddlesports Retailer, the official North American tradeshow of the paddlesports industry, has selected the Renaissance Oklahoma City Convention Center Hotel as the venue for the 2018 Paddlesports Industry Dinner, featuring the first ever Paddling Magazine Product & Industry Awards. The inaugural event will take place Wednesday, August 29 and will honor the innovative products, important people and best practices making vital contributions to the paddlesports industry. Oklahoma City, OK – May 10, 2018 — Paddlesports Retailer, the official national tradeshow of the paddlesports industry, is pleased to announce the addition of Robin Brown ahead of its 2018 trade show in Oklahoma City this August 27 - 30. Robin’s efforts will focus on outreach to the outfitter community, including both buyers and vendors. Paddlesports Retailer has again partnered with Rapid Media as the official media partner of the 2018 show in Oklahoma City. New for 2018 will be the Paddling Magazine Product and Industry Awards held the evening of Day 2—Wednesday August 29th—of Paddlesports Retailer. Oklahoma City, OK. – Paddlesports Retailer, the tradeshow designed “for paddlers, by paddlers” which debuted in August of last year, has announced that it will continue to offer unprecedented support to retailers in 2018. Palmer Rapids, Ontario – The inaugural Paddlesports Retailer Show has just wrapped up in Madison, Wisconsin and already plans for 2018 are underway.  Rapid Media has again been named the Paddlesports Retailer Show’s official media partner. Organizers of Paddlesport Retailer have announced plans to host their next industry trade show in Oklahoma City, Oklahoma, in 2018. MADISON, Wis. – August 9, 2017 – Paddlesports Retailer, the inaugural, sold-out tradeshow of the paddlesports industry, announces Rapid Media as its Official Media Sponsor. The event takes place later this month at the Alliant Energy Center in Madison, Wisconsin from Aug. 29 – Sept. 1.